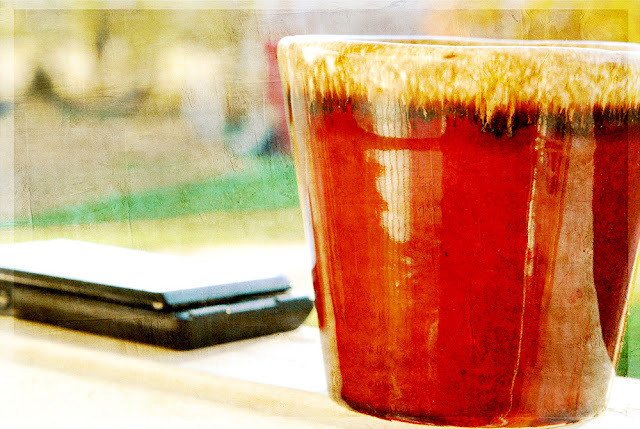 Texture Tuesday::Tea on Tuesday - Jill Ruth & Co.
Good morning! Today I get to link up with Kim at Art in Red Wagons for Tea on Tuesday...once again I'm opting for coffee instead of tea and I took this picture a couple of weeks ago while we were out on the porch. I shot some fun shadow pictures the same day because the sun was getting low in the west and it was warm and happy. I discovered through a friend that my phone has voice command texting. I do love technology even if I'm a little on the behind side. I went searching then on my phone and also found voice command internet search and voice command dialing! I wonder what else it can do?! Make dinner?!?! Unfortunately it took a chocolate milk bath a few weeks ago and I'm afraid it will need to be replaced soon. I went to the summer archives for this last photo. When my little girl brought me the little posie and said, "Here Mamma, these are for you" it included a request, "Put them in your pocket." I happened to have my camera with me. :) I'm still wondering why she wanted me to put them in my pocket. Maybe because that's where I keep the rocks we pick up when we're out. I'm also linking up with Kim at the Cafe for Texture Tuesday. The challenge this week was to use her texture titled "phoebe". All three photos were edited with "phoebe" on soft light or overlay blending modes. I'm gearing up this week for the Holidays as I'm sure all of you are too. I pray your planning and "doing" is joyful! Great photos - glad you could drop in!! Stop by if you get a chance!! such beautiful photos Jill! 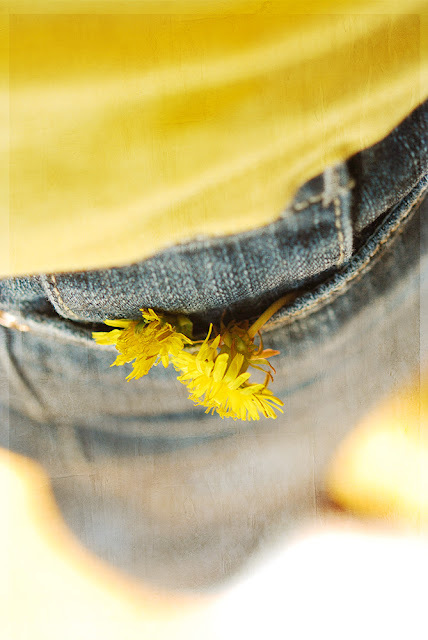 I really love the textures too .... the pocket full of posies is so sweet .... I just treasure moments like those! 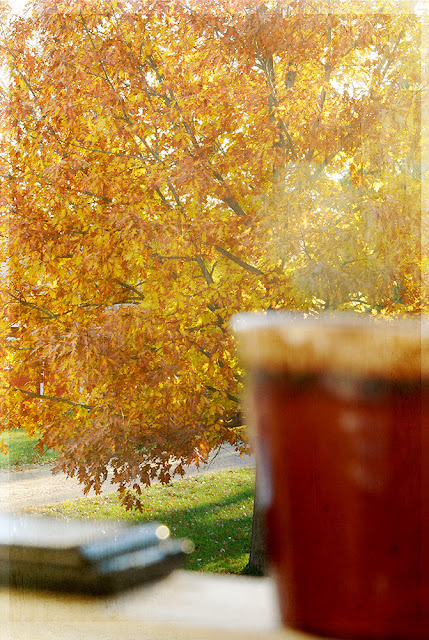 Hoping you and yours had a lovely T Tuesday Jill...your coffee looks tempting! I stopped by Kimmie's early this morning, but she wasn't awake yet. I finally made it back. Looks like you and several other Tea Tuesday gals had tea on their front porches today. You have a lovely view and super photos. Beautiful shots. The flowers in the pocket is my favorite. lovely images; the delightful cranberry coloured ceramic mug got me in.